So here’s my second post of doing Sunday Sevens! An easy link party; one photo to show something from your life every day! 1. Pumpkin madness has started at Walmart. I’m sure I only ever saw orange pumpkins in the UK! 2. I have started to crochet I’m still not sure what I think about it yet. 3. Love reading before bed at the moment. 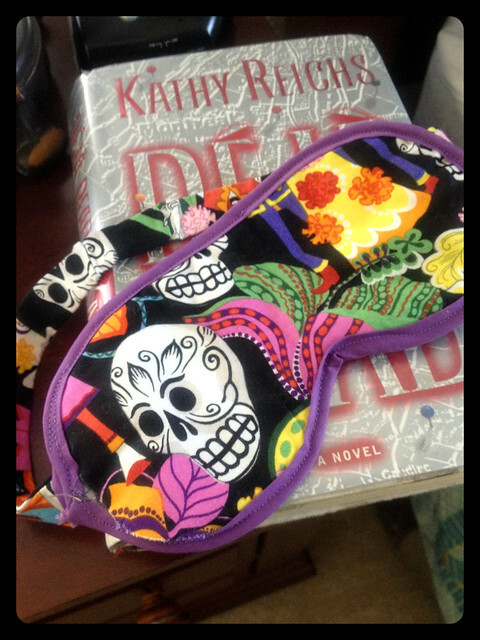 My sleep mask is quite a coincidental link to the book that I’m reading. 4. We woke up to photos of our little Winnie dog back in the UK. A lovely start to the day. 5. 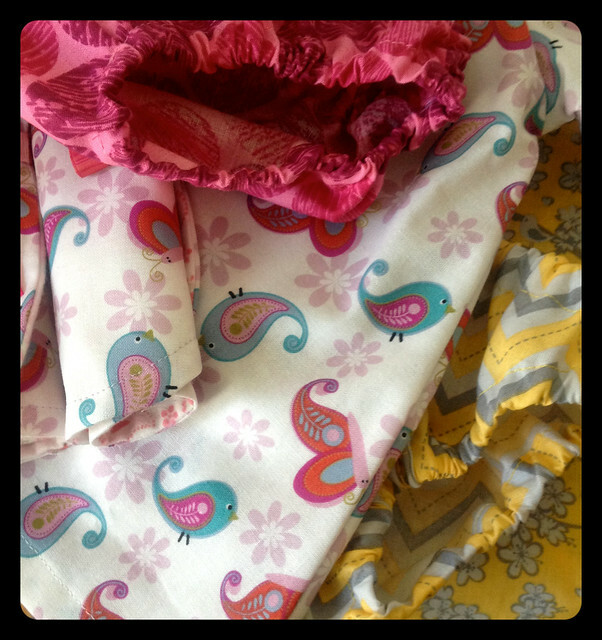 A peek at what I’ve been making this week, although I cannot fully share until they have reached the UK again! 6. 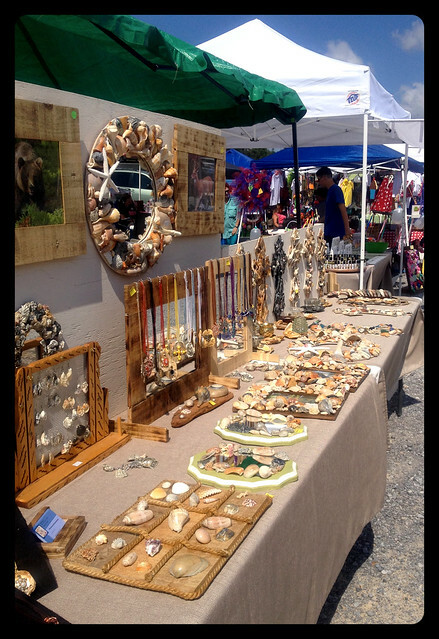 A little craft fair we found about a mile from us. Lovely handmade items. I liked the shell stall the best. 7. 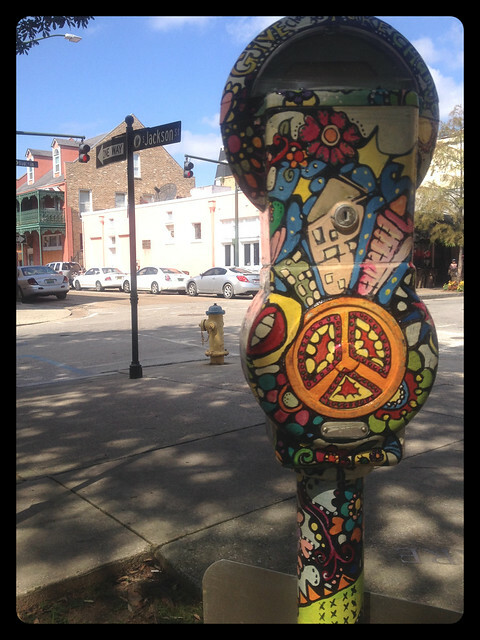 A little quirkiness of Downtown Mobile. If you would like to get involved, you can read more about the Sunday Sevens link up in my original post here. There are buttons to grab, but sometimes they work and sometimes they don’t! If they don’t work, save the image below and insert it as an image widget with a link to the original post 🙂 I will be sharing some of your posts through social media, just look for the #sundaysevens tag. The Pinterest board is here. If I miss anyone, please send me a nudge! 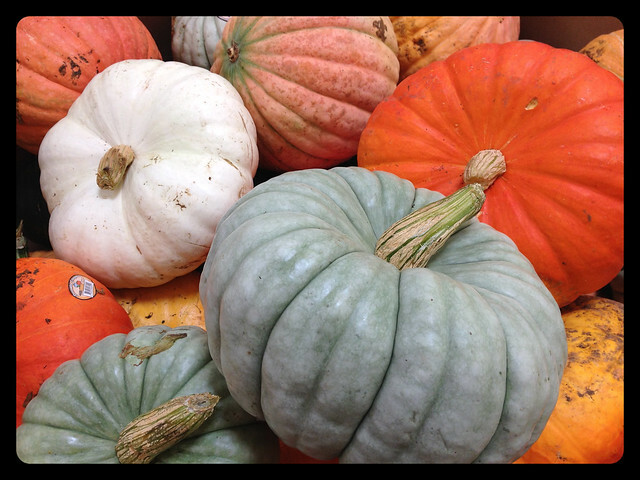 Those greeny coloured pumpkins don’t look right at all! Yes I know! I have never seen them that colour before!! You had to leave your dog behind? How sad, you must miss her dreadfully:( Lovely glimpses of your American life – the green pumpkins are scaring me a little though! Yes we are only here for 1 year initially so we didn’t think it was fair to get her shipped across ;-( She’s with our parents though so we are Skyping her! The green pumpkins also scared me! The dog is adorable–sorry you had to leave her behind! The green pumpkins must be a Southern thing, I’m further north and it’s only oranges ones and sometimes the white “ghost” pumpkins. 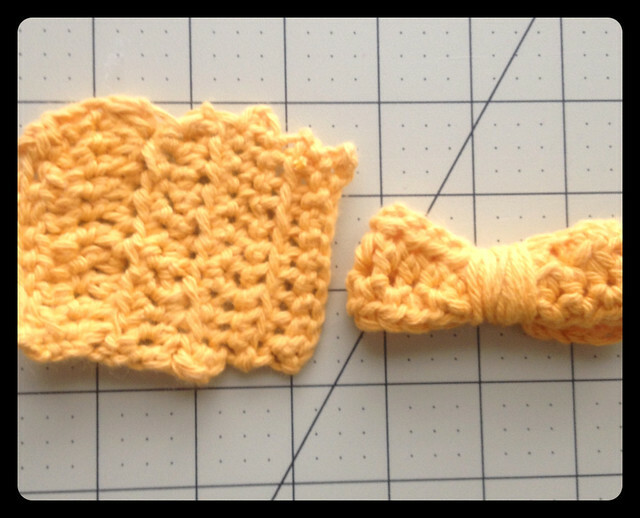 On your crochet efforts–if you need any tips/help, give me a shout. That’s one thing I’m fairly good at, although this week doesn’t show it.